Material Design is a design language developed in 2014 by Google and is very popular for web and mobile applications. Material Design is inspired by the physical world and its textures, including how they reflect light and cast shadows. Material surfaces reimagine the mediums of paper and ink. With the components from the Material-UI library it’s very easy to make use of Material Design elements in your React web or mobile application. The library’s website can be found at: https://material-ui.com. 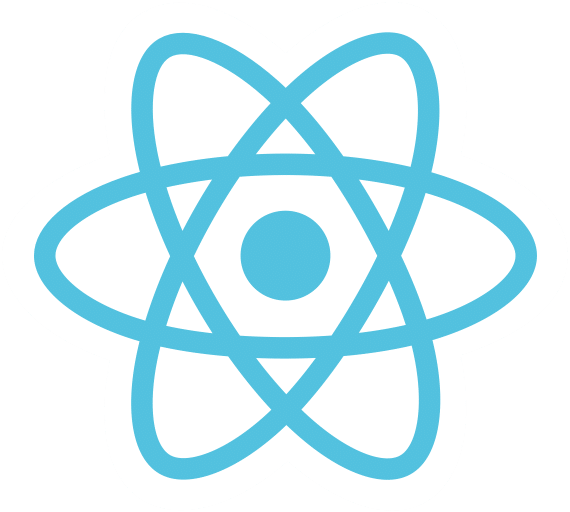 In this tutorial you’ll learn how to setup and use Material-UI in your React web application. We’ll start from scratch and build a real-world sample application from the ground up. As you can see the user interface consists of material design elements. 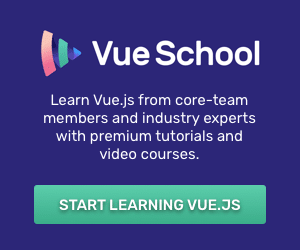 We’ll use Material-UI components to display a list of courses to the user. The application consists of a navigation bar on top which contains the title of the application, a text field which can be used to initiate a full text search for courses and a responsive grid which contains the course results. The courses are retrieved from the CMS back-end Contentful (https://www.contentful.com/). 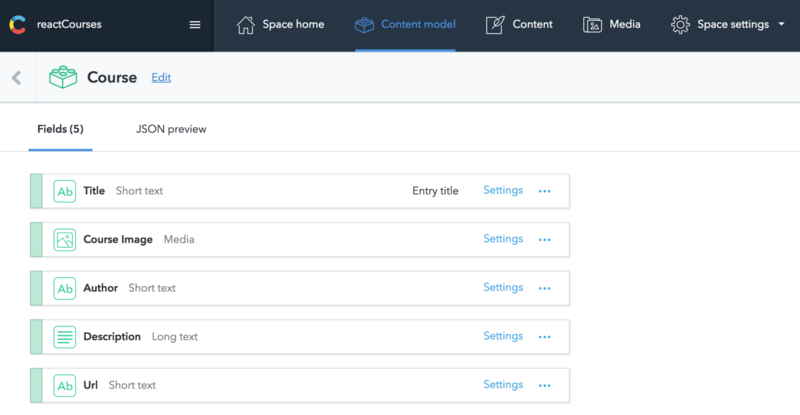 By using the npx command (which is part of the Node Package Manager (NPM) installation we’re able to execute create-react-app without the need to download and install it first. Having executed this command a new project directory react-material-ui is available. 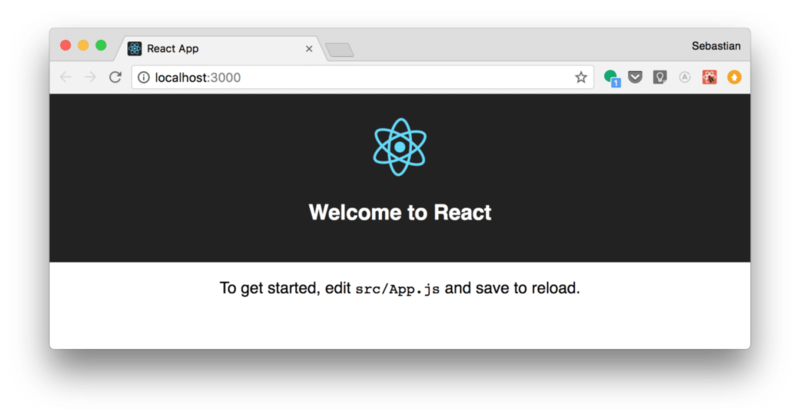 Change into the newly create project folder and you’ll find the React starter project. Now we’re ready to implement the sample application, so let’s get started. Delete the import statement which is importing from ./logo.svg (you can also delete this file as it is no longer needed). Now we’re ready to add our own code to the project. Here we’re using the AppBar, Toolbar and Typography component from the Material-UI library to output the navigation bar as shown before. To be able to include NavBar in our main application component App we need to make sure that NavBar is exported. The <NavBar /> tag is inserted into the JSX code, so that the navigation bar will be part of the output. 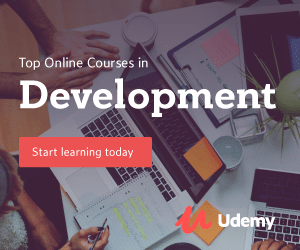 This component is responsible for retrieving course data from the Contentful back-end service and displaying the list of courses to the user. To access those values you need to create a new key by clicking on button Create API Key. Both values – Space ID and Access Token needs to be copied and inserted into the string which is assigned to SPACE_ID and ACCESS_TOKEN constants. content_type: The Contentful content type which should be queried. In our case: course. query: It’s possible to perform a full-text search across all text and symbol fields with the query parameter. The value which is assigned to this property is available in this.state.searchString. This state property is updated every time the user changes the value of the search input field. As the call of getEntries is an asynchronous operation it returns a promise so that we can connect to the result by using then. Inside the then method the list of courses is available in response.items. Those items are stored inside the courses property of the component’s state. Here we’re making use of two Material-UI components: TextField and Grid. Both components are added to the output only if course items are available in this.state.courses. In this case the the user is able to use the TextField to initiate a free text search. If the value of the text field changes the method onSearchInputChange is called and the searchString property of the state object is updated with that new value. The Material-UI Grid component is used to display the courses in a grid layout which is responsive to the screen size. 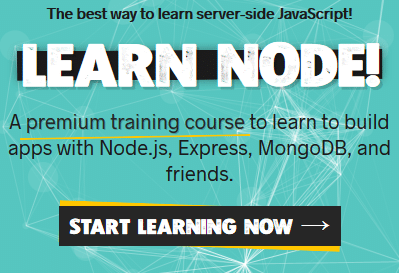 The output for a specific course is generated by the custom Course component which is implemented in the next step. The current course is handed over to this component via the course parameter. As the current course is handed over as a property we’re able to access the course’s data via props.course. If data is available the course is displayed by using the Card component from The Material-UI library. Furthermore we’re making use of the following Material Design components: CardActions, CardContent, CardMedia, Button and Typography. Having completed the implementation, our application should now output the final result as shown at the beginning of this tutorial. 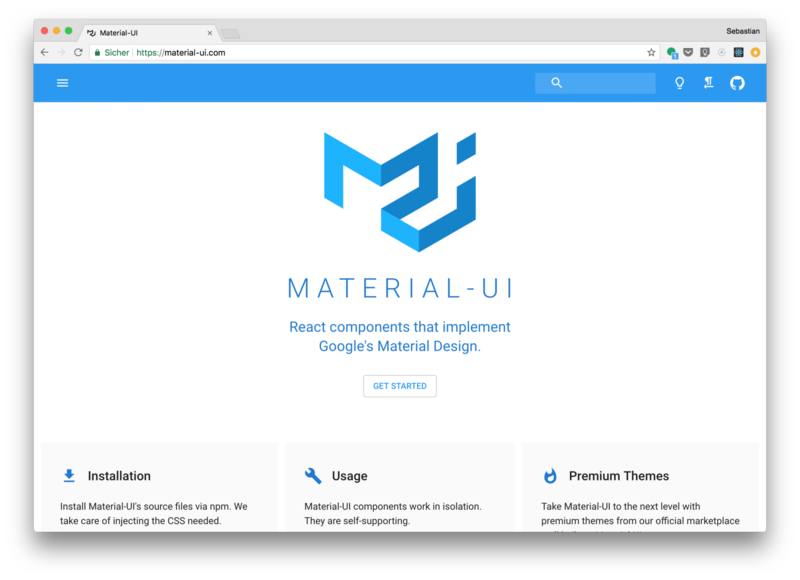 By using the Material-UI component library it’s easy to enhance the output of your React application with Google’s Material Design. 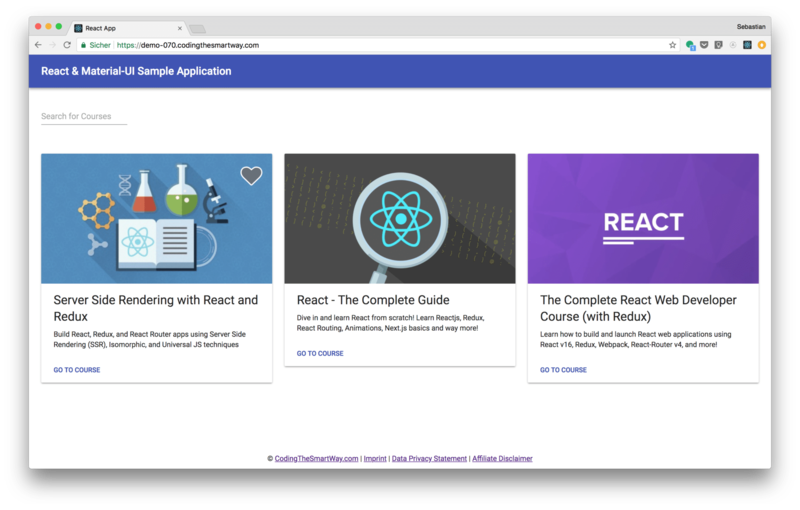 In this tutorial you’ve learned how to setup and use Material-UI in your React project and implement a real-world sample application from scratch.